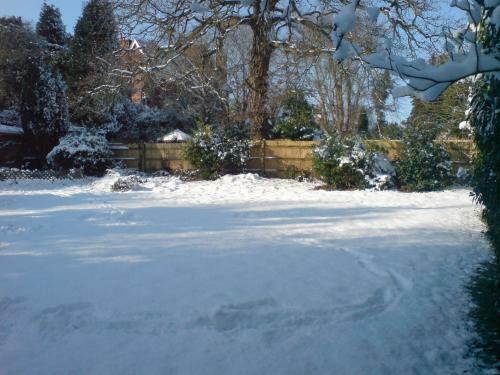 Anand Lodge Tunbridge Wells is an eight bedroomed accommodation, which is ideally situated off the A21, on the high street of the small village of Pembury, Tunbridge Wells, Kent. The Anand Lodges are Guest Houses in Kent, Croydon and London, offering budget accommodation from just £49.99 per room per night. Located in Tunbridge Wells and Croydon. For a relaxing midweek or weekend break in the south look no further than an Anand Lodge. 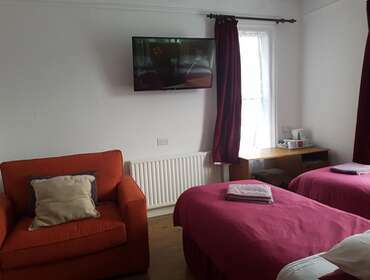 Our great location and friendly, efficient service makes the Anand Lodge the first choice for both business and tourist travellers alike looking for cheap accommodation in London and Kent. These rooms are located on the ground floor with a walk through shower room. 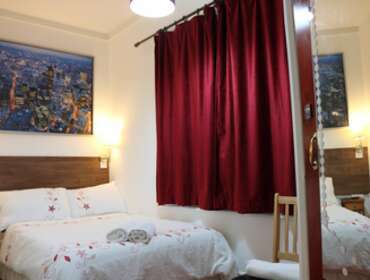 These room come with smart televisions and additional electric heater. King size En-Suite or Twin En-En-Suite. This room has a double bed. Comes with free hot beverages. Cold drinks, beers, wines etc., are available at an extra cost. Check availability and book direct through our website for best prices.